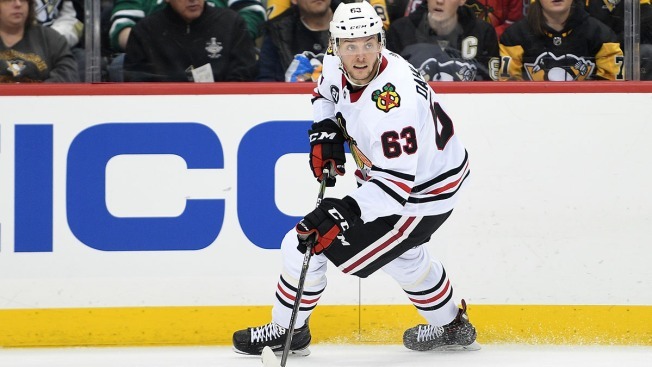 The Chicago Blackhawks have been impressed with the production they’ve gotten from defenseman Carl Dahlstrom this season, and they’ve rewarded him with a fresh two-year contract extension. The deal will give Dahlstrom a modest pay bump of around $100,000 per season, as he will make $850,000 per year on the new contract. When it expires after the 2020-21 season, he will still be a restricted free agent, meaning the Blackhawks will still have him under team control. Dahlstrom has appeared in a total of 46 NHL games in his career, with nine assists in those contests. He has six assists in 35 games so far this season, and has been a solid defensive presence on a blue line that’s been marked by inconsistent play throughout the year. The Blackhawks now have a total of five NHL defensemen on their payroll for next season, with Gustav Forsling and Slater Koekkoek both set to become restricted free agents. Henri Jokiharju is also under contract for next season, as are 2018 first round draft picks Adam Boqvist and Nicolas Beaudin.